Yesterday I had posted about a UBC Research Study which showed that Narcissists excel in Job Interview situations. Click on this line to view that prior post. Narcissists are great actors and during an interview they can put on a great performance. Narcissist have a number of Traits going for them, in an Interview type of situation. Since Narcissists are practiced Liars, it is no problem for them to feed the Interviewer a load of BS, while the Narcissist looks very believable to the Interviewer. 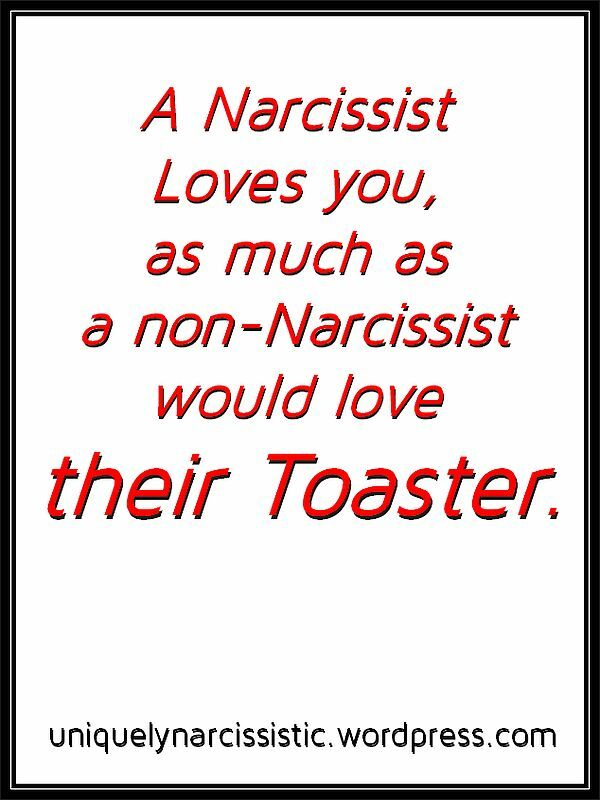 Narcissist can be superficially Very Charming, which can help to convince the Interviewer that the nonsense the Narcissist is feeding them is the Real Deal. Narcissists consistently use Mirroring to establish fake Rapport. What better place to establish fake Rapport than during a Job Interview. Mirroring the Interviewer, makes the Interviewer feel like they are seeing someone much like themselves. Yes, Narcissists have much going for them during a Job Interview. In real life, things are different. Talking the Talk means little, if you cannot Walk the Walk. That is where companies get burned by Narcissists who self promote, but do not function well as a member of a Team. For Narcissists, their Team consists of only themselves. That, IMHO, also applies to a personal relationship with a Narcissist. A study by UBC Psychology Prof. Del Paulhus finds that Narcissistic applicants are more successful in job interviews than equally qualified candidates who act more modestly. Videotapes of the interviews were later scored by a team of raters. Narcissists tended to talk about themselves, make eye contact, joke around and ask the interviewers more questions. As a result, the study found that people rated narcissists as more attractive candidates for the position. The researchers also found that participants of Japanese, Chinese and Korean heritage exhibited lower levels of narcissism, and were less likely to receive “definitely hire” ratings as a result. “The pro-narcissism bias results in an indirect cultural bias – particularly against East Asians,” says Paulhus. The study was published by the Journal of Applied Social Psychology in October 2013 and can be found here. This article is courtesy of the University of British Columbia. Click on this link to visit the UBC website to view the article on their website. Click on this Link to visit the CBC TV website to see their post about this research. This site also features a video of an interview with Prof Del Paulhus. One thing that I’d like to add. If a Narcissist is doing the hiring, then they can relate to the behaviour of other Narcissists. Narcs of a feather do flock together. 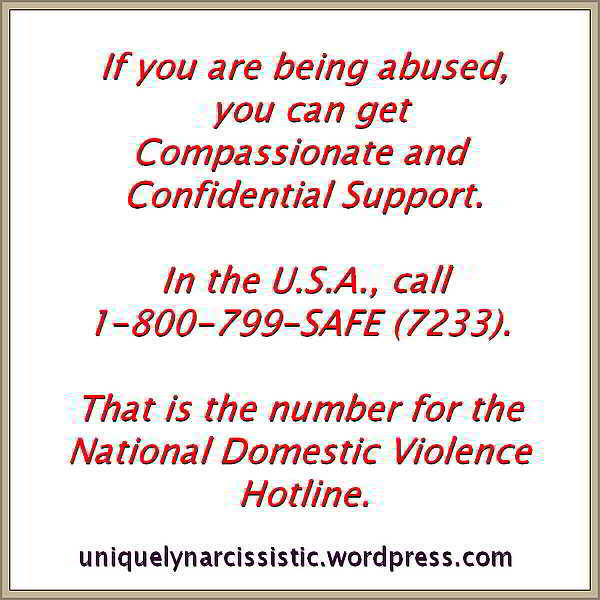 Different types of Narcissists seek out different Narcissist Supply. For example a Cerebral Narc will seek supply from people with higher levels of education. Not an issue with Somatic Narcs and so Somatic Narcissists can coexist with Cerebral Narcissist, because they will not compete for Narcissistic Supply. They can actually provide each other Narcissistic Supply, if needed. Uniquely Narcissistic DISCLAIMER: All copyright remains with the original Copyright holders. Uniquely Narcissistic does not make any claims regarding the Copyright or Trademarks related to this post. This post is courtesy of the University of British Columbia (UBC). The University of British Columbia and Prof Del Paulhus “do not” endorse the Uniquely Narcissistic website/blog, nor is there any affiliation.